Do you want to commission compressor on your own? Do you have any knowledge of Compressor commissioning? If you are using Atlas Copco, Ingersoll Rand, Chicago Pneumatic or Kirloskar air compressor at your engineering unit, below information is valuable to you. Sometimes you required to start new compressor without the presence of manufacturer’s service engineer. So, there is some procedure of commissioning. Here I am going to share information on air compressor commissioning to handle such type of situation. Your production process is depending on compressed air. So, it is very important to obtain the best performance from air compressor installed in your plant. Air compressor gives the best performance if it installed correctly. Hence for best results, you have to take precaution from commissioning of the air compressor. As the compressor dispatch from manufacturer’s factory, it will take some time to reach your site. To avoid any corrosion during the period of manufacturing to commissioning, frame interior, piston top, cylinder inner walls, air suction & discharge valves are inhibited by spraying with anti-rust preservative oil. Remove frame (crankcase) door covers, clean the entire interior with cloth, never use cotton waste to clean interior, check all connecting rod locking. Lubrication oil pipe line’s nut & ferrules must be checked for tightness. Fill recommended lubrication oil in the crankcase (frame), replace frame cover door. 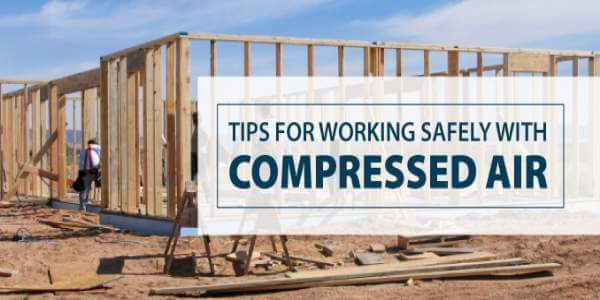 The precautions for the crankcase are same as a lubricated compressor; some additional work has to do with compressor valves. Remove all Suction and Discharge valves & remove silica gel bags or clean anti-rust spray (if you found Teflon Spray on valves, don’t clean). Clean piston top, cylinder wall with a clean cloth. Clean air suction & discharge valve assemblies with paraffin or diesel, dry with compressed air and refit. Use correct torque to tighten the valve cover. Rotate belt wheel by hand in the direction of rotation at least 4 to 5 revolutions to ensure correct fitment of suction & discharge valve. 01) Install the air compressor as per manufacturer’s instructions. 03) Maintain the oil level in crankcase and lubricator. It should not be low or high. 04) Stop plant at once if the oil pressure gauge fails to show oil pressure. 05) Keep compressor plant clean & all nut-bolt tight. 06) Keep air suction filter clean. 07) Never run air compressor without an air filter. 08) Do not put paraffin, or other inflammable liquid into the compressor or air receiver. 09) Do not adjust capacity controller unless it fails to operate. 10) Educate your air compressor plant operator for daily check-ups & insist them to look after.